Restoration of this ten-story, 1926 Art-Deco style building required a complete renovation to modify the interior into contemporary office space. The building is listed on the Local Register of Historic Places. The goal of the design was to maintain and enhance the historic elements of the building while providing a contemporary work space for building occupants. To accomplish this the elaborate interiors were restored to their original condition. Delicate cleaning and repair the original inlaid marble floors and brass fixtures were performed throughout the building’s public spaces. These richly textured rooms stand in contrast to the more modern architectural style of the offices within. Finishes were selected that matched those original to the building, but were composed based on a contemporary design motif. This application of similar materials creates a visual connection between the new and restored spaces. 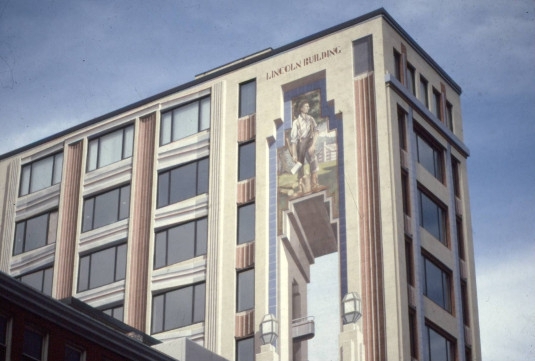 The finished building has become a local landmark with its prominent tromp l’oeil mural painted on the side of the building. 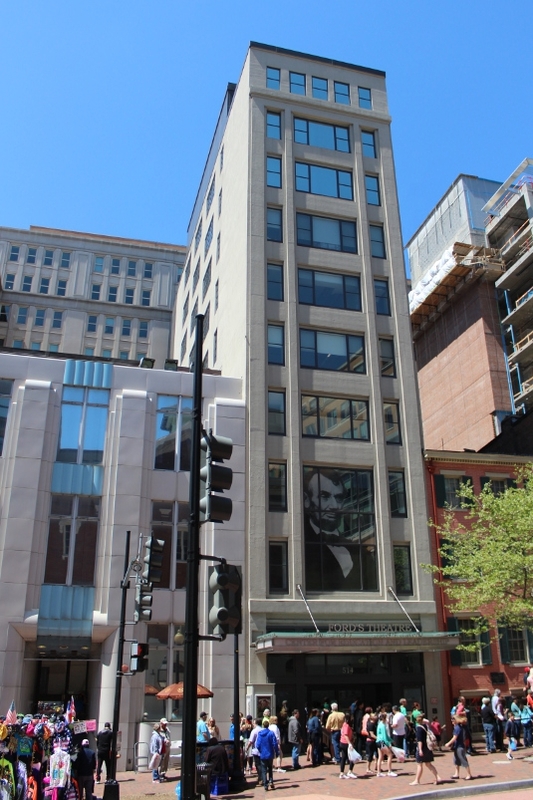 Its location directly across the street from Ford’s Theater inspired American muralist Richard Hass to depict a young Abraham Lincoln on the exterior of the building. *Individual experience of Robert E. Beach, AIA, LEED AP BD+C.